Videos im möchte ich diesen Thread eröffnen. Es ist doch echt faszinierend wie manche Fahrer ihre Geschosse ums Eck prügeln. Das Video wurde von Tanus im "Ferraris im Schnee" thread gepostet. Möchte mich ja nicht mit fremden Federn schmücken. Hier ein seltenes Bild aus dem Buch "Marc Surer Motorsport". Mein Landsmann und damals noch F1-Star Marc Surer, trainierte zusammen mit Raphaele "Lele" Pinto auf dem 308er im Winter 1984 für die Elba-Rallye. Weitere Fotos, aber nicht nur von den Ferrari. 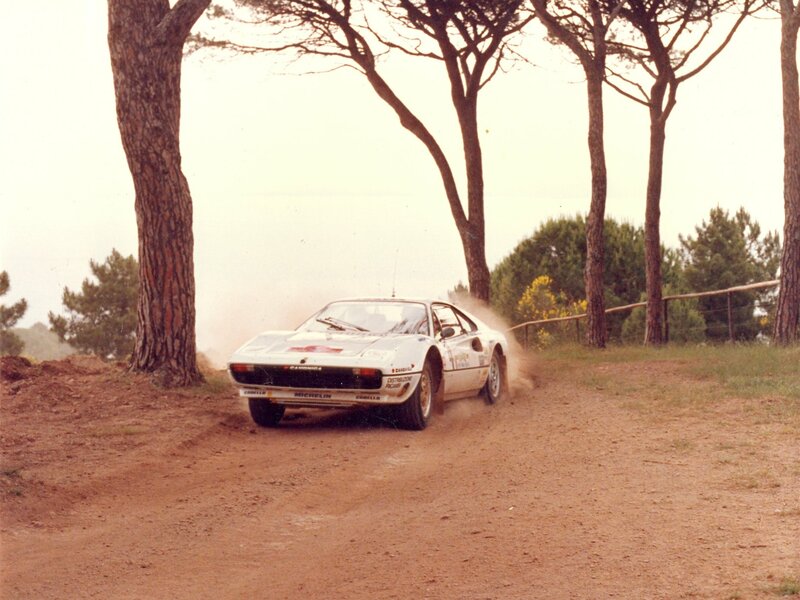 The last of only four Michelotto built ultra–lightweight Ferrari 308 GTB Group B Rally cars, s/n 22409 has a great race history including a 2nd in the 1984 Targa Florio, two 1sts at the Marca Trevigiani and Città de Bassano Rallies, and two more 2nds at the Isola d'Elba and the Príncipe de Asturias Rallies. Built on a lightweight frame and a lightweight steel body, 308 GTB s/n 22409 weights only 980 kilos or 2250 pounds and is powered by a 4–valve engine that can be tuned up to 400 hp and, more important, has a great torque curve. 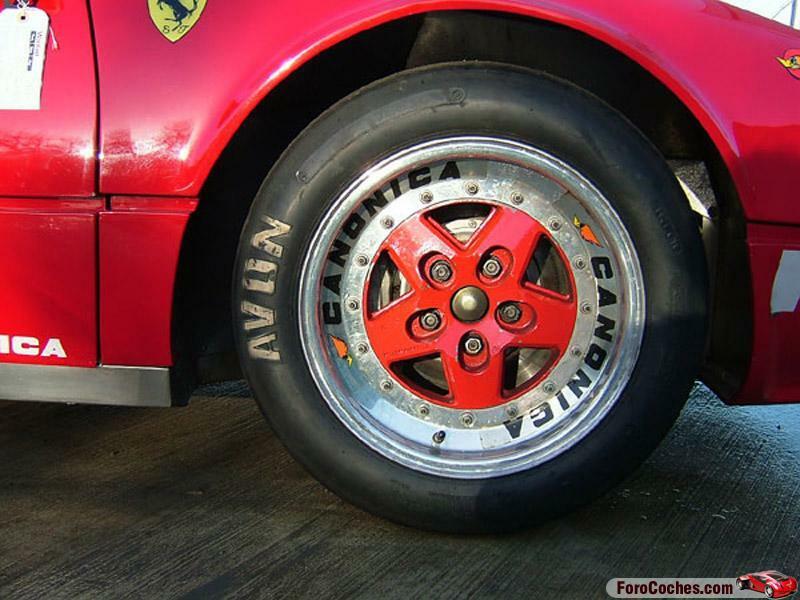 Fitted with four pot Brembo brakes, a pure race non–synchro gearbox with a limited slip (80%) ZF rear end running on lightweight modular 3–piece wheels, this 308 GTB is well sorted and race ready. One of the fifteen Michelotto 308s approved by Ferrari SEFAC and Ferrari North America for the Tour de France, Tour de Espana, the North American Ferrari Maserati Challenge and multiple other events. S/n 22409. 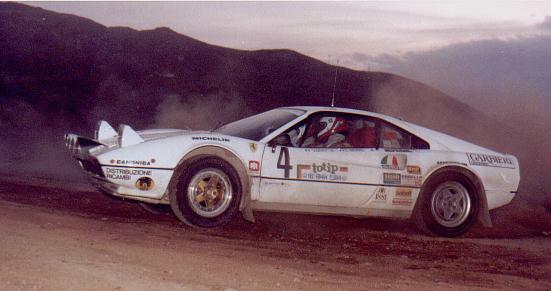 308 GTB Group B (4V). Michelotto built rally and track car. Michelotto build # 13. Completed August 1983. 1983, completed by Michelotto as a Group B Rally car. Michelotto 308 Group B Rally car build # 13. 1983, August, New to Pro Motor Sport, Italy. 1983, at the Rally Piancavallo, driven by Menes, finished 3rd. 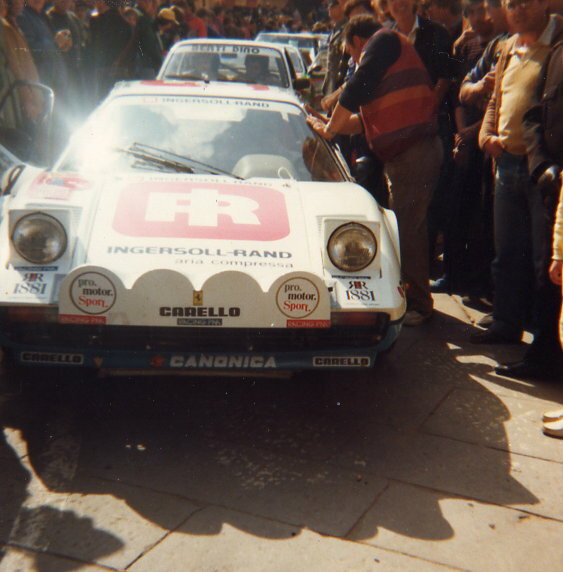 1984, 29–31 Mar., 68th Targa Florio, driven by “Lucky” Battistolli; – C. Berro, finished 2nd. 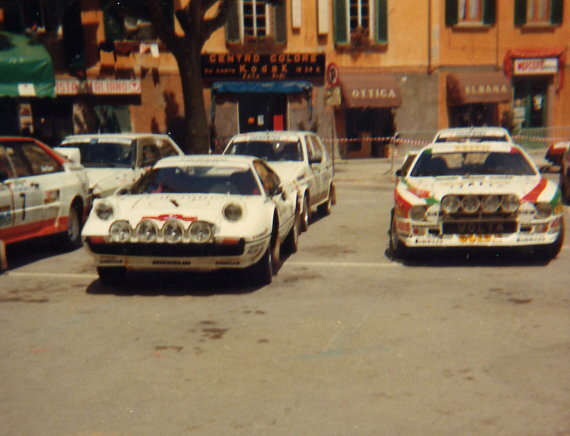 1984, 07–09 June at Rally Isola d'Elba, driven by “Lucky” Battistolli; – C. Berro, finished 2nd. 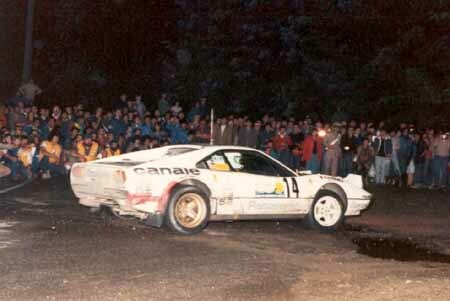 1984, 14–15 July at 2nd Rally della Marca Trevigiana, driven by Giulio – Bisol, finished 1st. 1984, 15–16 Sept. at 1st Rally Città di Bassano, driven by Pasutti – Trentin, finished 1st. 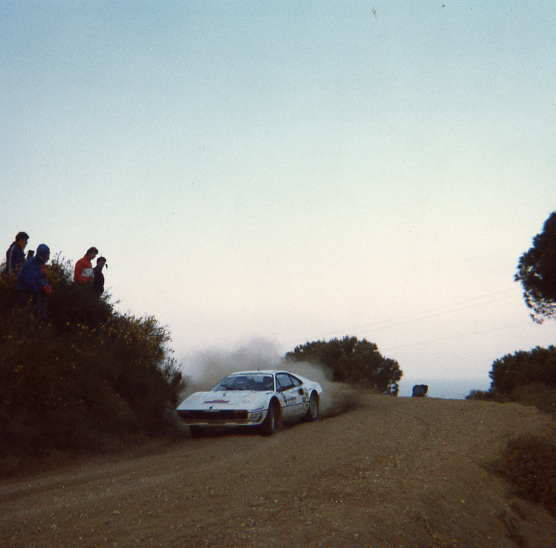 1984, 21–22 Sept. at 1st Rallye Internacional Príncipe de Asturias, driven by Tonino Tognana, finished 2nd. 1985, sold to Enrico Capitiano, owner of Style Auto, Padova, Italy. 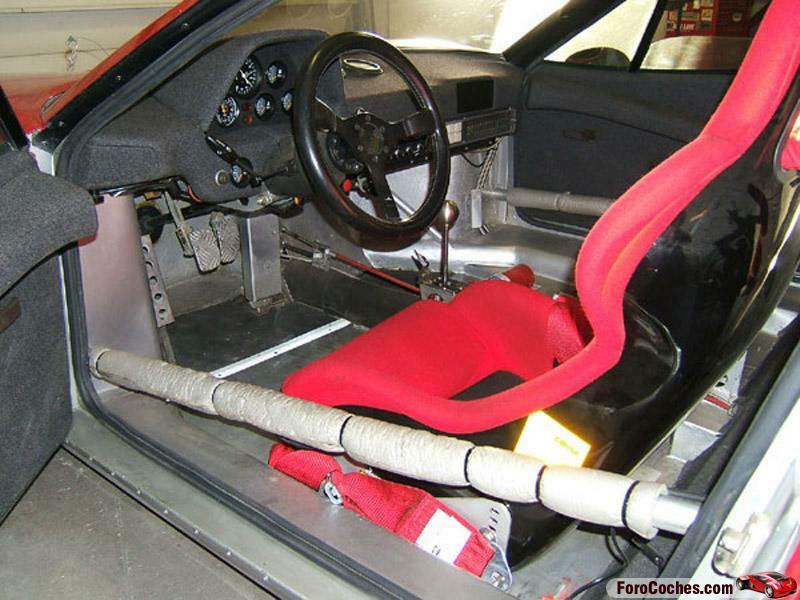 At the time Capitano also owned serial #19051, a Michelotto built 308 GTB Group 4 car. from Michelotto to Maranello Concessionaires for display during the Ferrari Owners Club Annual Concours in England. 1998, 23 Feb., Christies, London, England. Red/red/black. A Group IV/B rally car built by Michelotto (which now builds the 333 SP) with factory blessing. Big brakes, three-piece wheels, non–synchro gearbox, 980 kg. Enough lights to cook a steak. Recently rebuilt by Michelotto. Very quick and successful in privateer’s hands (2nd in Targa Florio) an unusual opportunity to capture a rare, high–performance 308. 1998, 02 Mar., at Coys auction of Kensington in England, not sold. 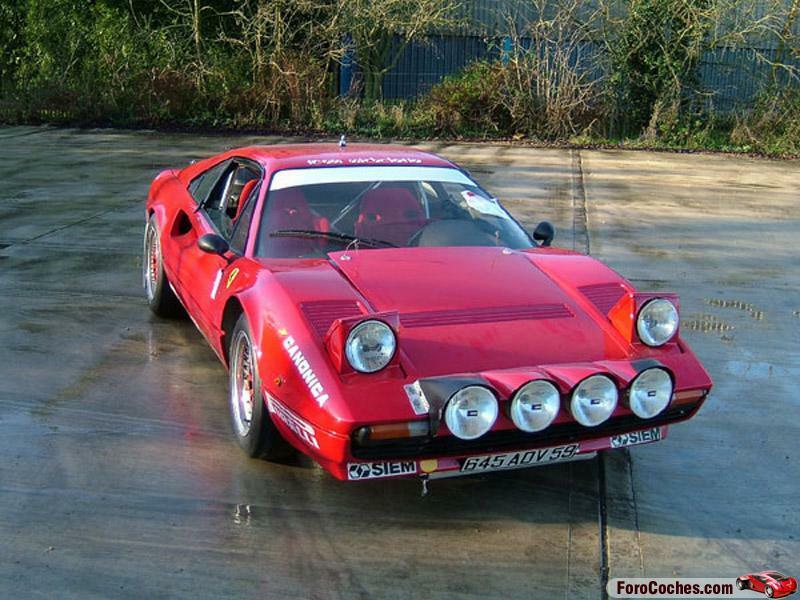 Listed as a 1983 Ferrari 308 GTB Group B rally car. Red/red/black. 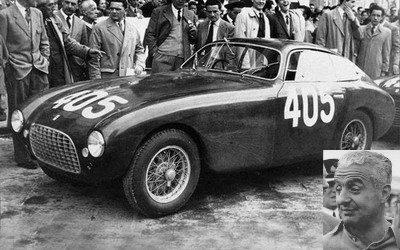 A group IV/B rally car built by Michelotto which now built the 333SP. Big brakes. 3 piece wheels. Non–synchro gearbox. 980 kilos. Enough lights to cook a steak. Recently rebuilt by Michelotto. 1998, 20 May, for sale at Christies Auction, Monaco. 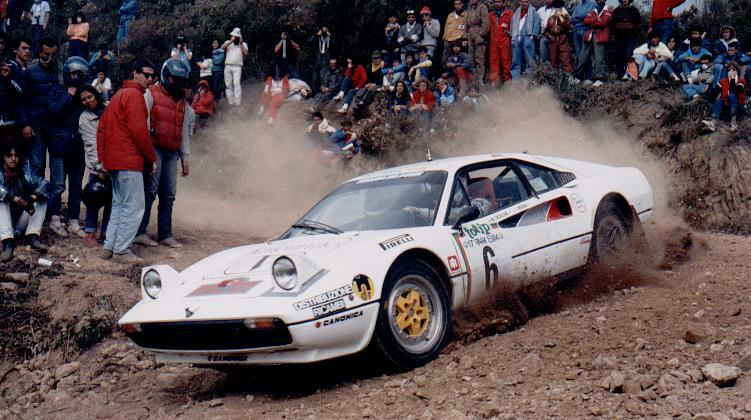 Lot # 58, 1983 Ferrari 308 GTB Group B Rally. S/n 22409. Red/red, black. Factory (Michelotto) built Group B rally car. 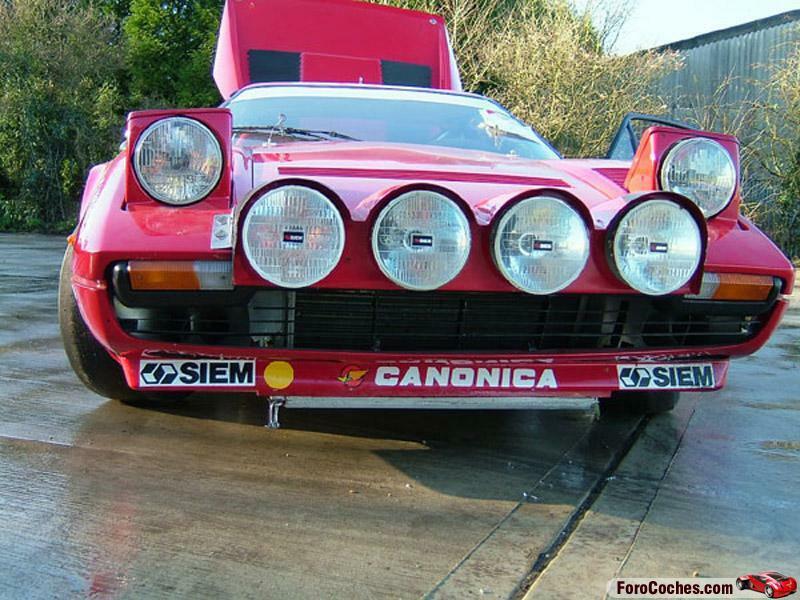 Enough lights on the front to grille a large steak, 3–piece wheels, 4 valve heads, rally interior, non–synchro gearbox. Recently renovated by Michelotto and unused since. 1998, November, as per faxed confirmation from Michelotto, yes, this is a Michelotto built car. 2004, December, sold to current owner, maintained and campaigned by Wayne Obry’s Motion Products. 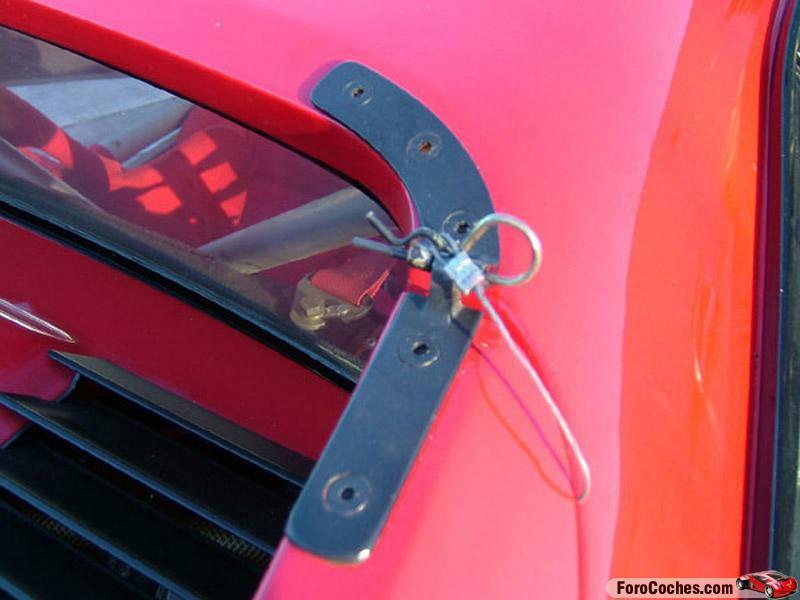 2005, raced in the North American Ferrari Maserati historic Challenge. Grandios Das ist ein tolles Weihnachtsgeschenk. Diesen Link hier MÜSST Ihr reinzieh'n - der SOUND ist Pflichtprogramm!!! => der 360 GT, von dem Sound werdet Ihr feuchte Träume haben heut Nacht! Habe hier etwas ganz Interessantes gefunden, hoffe mal, daß hatten wir noch nicht, habs zumindest via Suche nicht gefunden. Ein sehr ausführliche Foto-Doku über den Umbau eines 308 GTB zum FIA Group 4 Historic Rally Car. Die Gallery wird noch laufend erweitert, momentan sind es 279 Fotos.